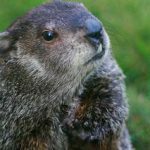 This past weekend was Groundhog Day in the States—an odd custom that seeks to predict the arrival of Spring. It is also one of my favorite movies of the same name. In it Bill Murray repeats the events of the day countless times until he learns the lessons the universe has set for him. There have been times in my life when I’ve had lessons repeated until they sink in. A divorce, several job/project failures linked to missed organizational clues, and a career change to avoid both a second divorce or more job failures mark the genesis of my deeper exploration of the organizational ecosystem. My initial launch out of college appeared perfect and decidedly upwardly mobile. Married above my station, promoted rapidly, accepted into Harvard Business School. Followed by a spouse opting for a different path, confusion and erratic results in school, and a reentry into work that was a flattened trajectory at best. I might not have been drowning but I was barely treading water and did not understand why. Reconnecting to the offstage side of the theater was the first stroke back to shore. I met and married my second wife, now of thirty five years, and sought to understand the causes of my other failures. Once again, I was observing from the wings while others performed but now I started thinking about observation and performance more broadly. Actual stages and wings made the distinction easier to see. I began thinking about onstage and offstage behavior as something to look for elsewhere. Where others moved naturally and fluidly, I needed more explicit markers to guide which behavior was appropriate in which settings. For example, I recall an internal project I was managing. I discovered a problem looming in the near future and went to my boss with suggestions on how to eliminate the problem while it was still tiny. I was puzzled when he tabled my proposal. I was smarter now and asked him to share his reasoning. If we solved the problem my way, we would get no organizational credit for eliminating a problem that no one else had yet seen. On the other hand, if we waited to present a complete solution just as others were seeing the shape of the problem, we acquired organizational stature and credit we could draw on later. There were intricacies and layers to moving within the organization that I hadn’t learned to see. I suppose most managers develop their ability to see these things through the accumulation of experience. I needed more help and more structure. I needed to do more than continue as an apprentice to someone with mastery of one organizational environment. I saw that I needed to acquire and develop craft intentionally. I needed to find masters and mentors who made the world of organizations their vocation. On the surface, this looked like another round of schooling and credentialing. On a deeper level it was a search for a conservatory where I could develop new craft under the tutelage of masters who knew both the craft and how to extend and transfer that craft. I did find that place and did ultimately acquire another credential. More importantly, I developed new craft and the capacity to extend and transfer that craft myself.